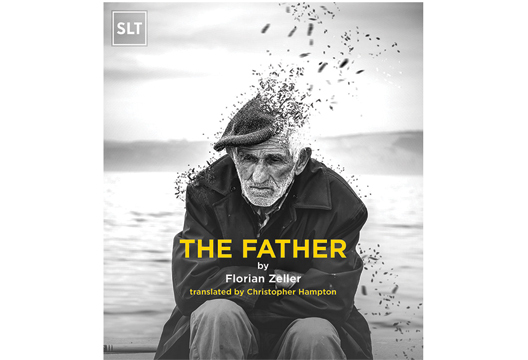 Florian Zeller’s The Father, shown at The South London Theatre, is a frank and honest play showcasing the experiences of dementia sufferers and those that care for them. By intimately following the experiences of Andre and his daughter Anne, Zeller traces the effects of Andre’s illness on them both. The play opens with Andre suspecting that somebody has stolen his watch, lulling the viewer into a false sense that they are just an outsider watching Andre’s deterioration. The tension and frustration between the father and daughter is immediately evident and it is clear they are infuriating one another. As the play progresses, the audience is drawn further and further into Andre’s disjointed and deteriorating experience through a non-linear plot line, and with each scene it becomes more ambiguous where Andre and audience find themselves in time. As the audience drifts precipitously into Andre’s delirious world, they are also pulled into Anne’s frustration and confusion, with one powerful nightmare scene depicting her strangling her father. Andre’s decline is thrown into sharper relief by his fading self-assurance. He is lively and confrontational throughout, in one scene mocking the nurse’s patronizing tone to encourage him to take his pills. By the end of the play, however, Andre has declined into a child like state – his nickname in the play of ‘little daddy’ ringing very true. The play’s journey gives a stark and immersive experience into the lives of Andre and Anne, raising awareness for both sufferers of dementia and those that care for them, by skillfully putting the viewer in the shoes of both. It’s blurring of reality gives the viewer a welcomed autonomy, giving them freedom to take from it what they chose to. - India Megan is a Master’s student at King’s College London studying Clinical Neuroscience.